The Iowa Crush would like to thank our players, sponsors, fans, and game day volunteers! We appreciate all of your support during our 2018 season! Unfortunately, the Iowa Crush will not be fielding a team for the 2019 season, but stay tuned this fall as we evaluate our options for fielding a team again in 2020. 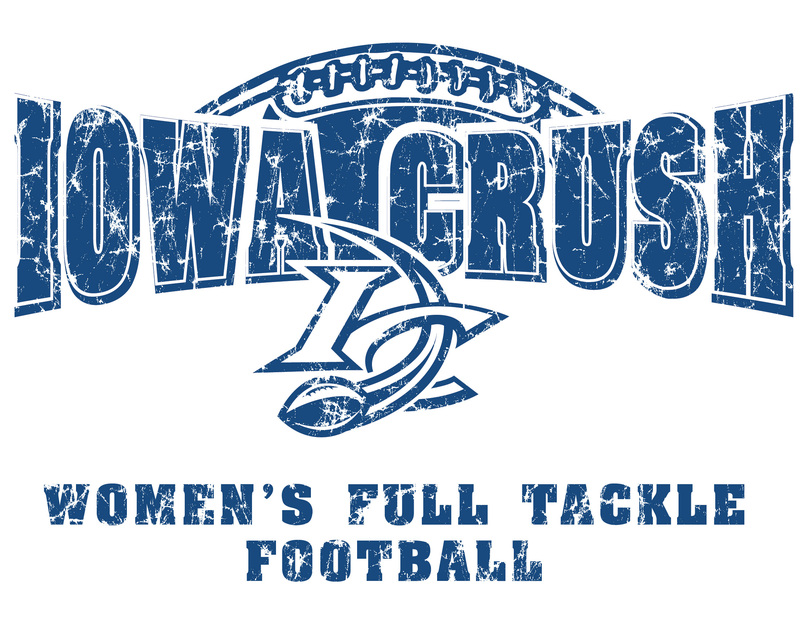 The purpose of the Iowa Crush women's football team is to provide an opportunity for women to participate in a predominantly male sport at a high level of competition nationally through the IWFL. Through sports, women are able to learn multiple life skills to not only apply on the field of play, but also in real life. The Crush strive to give an example to our community as well as all Crush team members. In the 2019 season, the team is looking to recharge and surge forward, refreshed and ready to provide the women of Iowa, and surrounding states, the opportunity to play women's tackle football for the 14th consecutive year. The Crush will continue to provide women with instruction and training to provide a safe and entertaining playing opportunity.